The NIRvana® family of focal plane array (FPA) cameras, offered by Princeton Instruments, consists of the NIRvana, NIRvana LN, and NIRvana ST cameras. These are the only scientific-grade InGaAs cameras on the market particularly designed for quantitative near-infrared (NIR) / shortwave-infrared (SWIR) imaging and spectroscopy applications. The NIRvana: 640, the world’s first deep-cooled, scientific grade, large format InGaAs camera available from Princeton Instruments, is designed for low-light scientific SWIR imaging and spectroscopy applications. This camera uses an InGaAs 640 x 512 array with response from 0.9 µm to 1.7 µm. The detector is Peltier cooled to -85 °C to achieve improved signal-to-noise ratio and to reduce thermally generated noise for the extremely challenging SWIR applications. 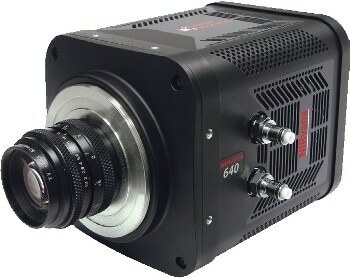 It provides 16 bit digitization and low read noise for excellent dynamic range. Universal programming interfaces for easy custom programming.